The Japan Meteorological Agency has labeled typhoon Trami "a very strong" storm carrying gusts of about 216 kilometers per hour and sustained winds of about 126 kilometers per hour near its centre. 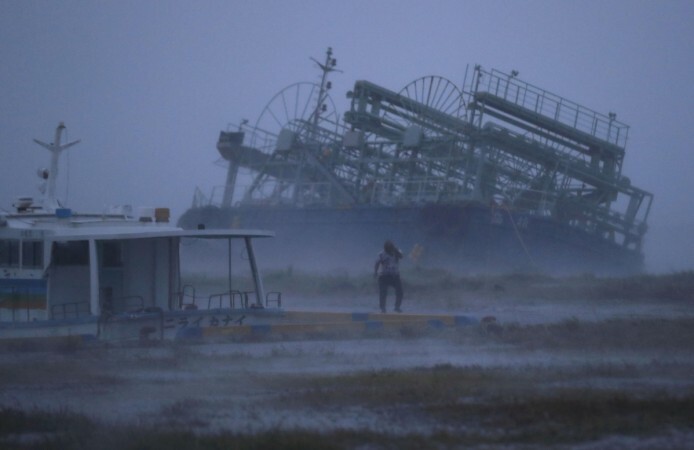 A powerful and terrifying typhoon hit Japan on Sunday, September 30, bringing with it strong winds and heavy rainfall that left several parts of the country battered and inundated. Typhoon Trami made a landfall near the western city of Osaka on Sunday at about 8 pm local time. Until now, the typhoon has killed two people and injured at least 120. While it was earlier said that the capital city of Tokyo wasn't in Trami's path, residents have now revealed that they have been witnessing strong winds and heavy rains in the city as well. Tokyo has been hit by strong winds of about 142 kilometers per hour, breaking several records. Speaking of the situation in Tokyo, Japanese weather forecaster More Sayaka tweeted: "A lot of wind records have been broken in Tokyo last night due to Typhoon Trami." Due to this rough weather, streets in the city reportedly wore a deserted look as residents prefered to stay indoors. Bullet train services had been suspended after the storm made landfall, but the services have now reportedly been resumed. The city of Okinawa is one of the worst-hit and weather experts believe that Trami is set to intensify over the next few hours with storm surges, extremely strong winds and torrential rain. As of now, Trami is said to be carrying gusts of about 216 kilometers per hour and sustained winds of about 126 kilometers per hour near its centre. Such were the gusts that Trami even knocked over a 25m tall 40-ton statue of Buddha on the southern island of Okinawa. Trami has wreaked havoc in several parts of Japan uprooting trees and bringing down electric poles. The Tokyo Electric Power Company has said that more than 510,000 homes are without electricity in the Kanto-Koshinetsu region. The Japan Meteorological Agency has labeled Typhoon Trami "a very strong" storm and over 3.7 million people have been asked to evacuate their homes and move to safer areas and relief centres, reported state broadcaster NHK. 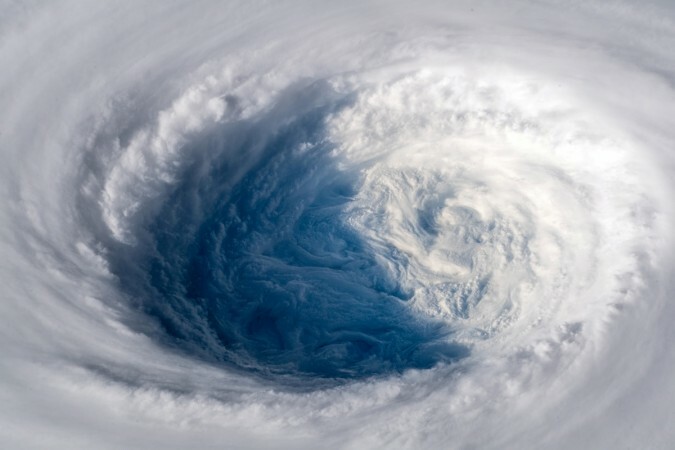 Yuji Ueno, an official in the town of Shirahama, spoke to the Agence France-Presse and said the winds were "enormous." "We saw incredible winds and rain. I stepped outside the city hall in the afternoon, and the rain was swirling in very strong wind. Enormous wind. It was difficult to stay standing. It was very scary," Ueno explained. As Typhoon Trami hammers Japan, several cities and facilities remain shut with shops, offices and educational institutions closed. Flight services have been suspended and airports remain closed due to flooding. Shortly after the storm made a landfall, train services were also halted. Speaking of the storm Swart, 56, from England told AFP: "The airport is closed. There are very few people around and all the shops are shut. It's really deserted." Trami is the second typhoon to hit Japan in a month. Many parts were left battered by Typhoon Jebi early September, which left 11 dead and led to the closure of the Kansai Airport. Jebi is known to be the most powerful typhoon to hit Japan in 25 years.